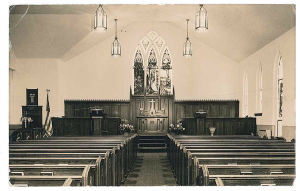 The Church of the Good Shepherd began in 1871 when the pastor of the First Methodist Church of Tyrone formed a Sunday afternoon Bible Class for the residents of East Tyrone. 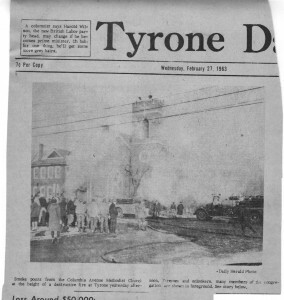 Later that year, the twenty-seven class members financed the building of a chapel on 21st Street which was named East Tyrone Chapel of the Methodist Episcopal Church. 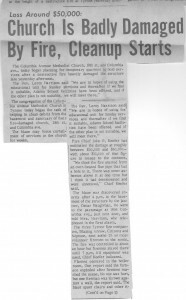 By the year 1890, the congregation had grown to nearly 300 members and the Columbia Avenue Methodist Church was built. The church’s membership continued to grow and in 1917 an addition was added. The word, ‘Episcopal’ was removed from the church’s name in 1939. The word, ‘United’ was added in 1968 when the Methodist Church merged with the Evangelical United Brethren Church nationwide. 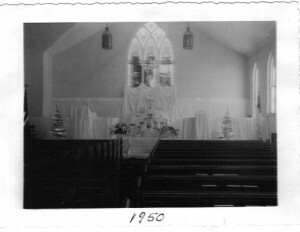 The church was remodeled and enlarged because of the growth of church membership and Sunday school. 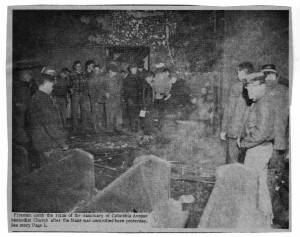 The reopening was celebrated with a week of jubilee beginning on Sunday morning, June 3, 1917. 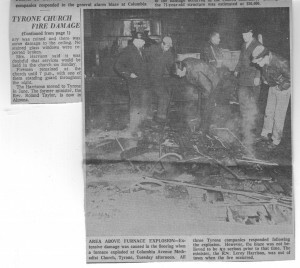 A devastating fire destroyed the sanctuary on February 26th 1963 with damages estimated at between $50,000 and $60,000. 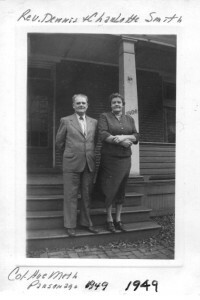 The pastor at the time was Leroy Harrison. 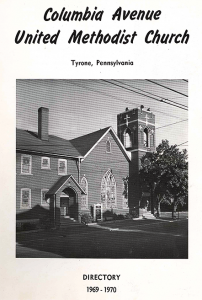 In 1969 the decision was made to build the Church of the Good Shepherd United Methodist Church. 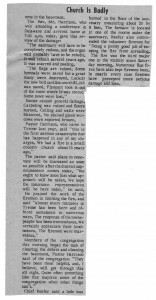 Ground was broken for the new church facility on May 23, 1971. 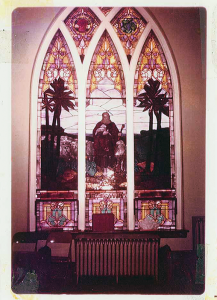 A year later, on May 28, 1972 the first worship service was held in the sanctuary and the church was dedicated. 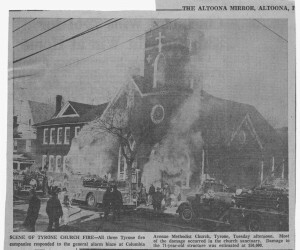 After Reverend Harrison’s exchange of pulpits with the Reverend Eugene R. Steiner of the State Street Church in Harrisburg, the church continued to grow, necessitating an addition. A fellowship hall was erected in 1997 to offer a special ministry to members and the community. Today, the hall has become a vital part of church and community life, serving a variety of outreach missions. On Sunday, January 22, 2006, the Church of the Good Shepherd, now located on Clay Avenue, celebrated another milestone in its long history. During a combined morning worship service, a ceremony to burn the mortgage on the church was held. 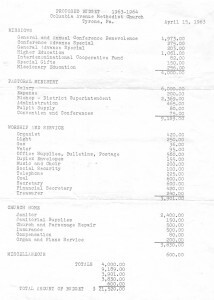 This mortgage was acquired by the church in March of 1997 when ground was broken for an addition consisting of a new kitchen, social hall/gymnasium, elevator, youth area, four restrooms, storage and work areas. Our focus is on loving God, loving others, and serving the world – in Tyrone and abroad. We invite you to be a part of our ministries by loving God, loving others, and serving the world. The Church of the Good Shepherd Is a United Methodist congregation in the Altoona District of the Susquehanna Conference in the Northeastern Jurisdiction of the United Methodist Church.